Found a picture of something like this on Pinterest and thought it was cool. 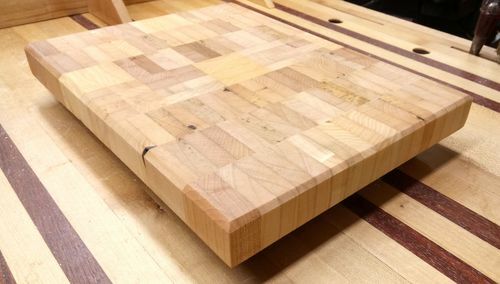 I had a stack of 1/2” surfaced Maple from a Craigslist free listing. It was was stacked up in the grass next to the curb…..score! No fine woodworking here but really a fun build. 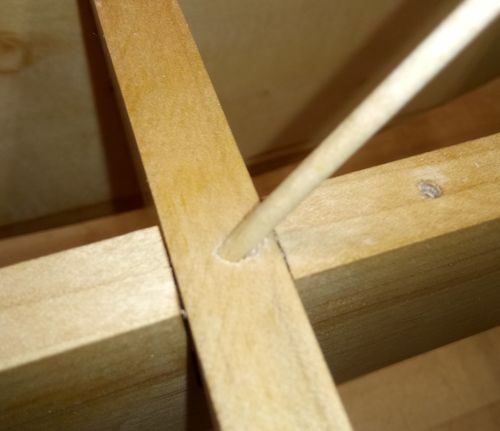 Maloof finish was done before assembly and used 1/8” dowels to pin the joints rather than attempting to a messy glueup. Nice score in the maple. That’s fantastic. And good job with the curved shelves. Great idea. 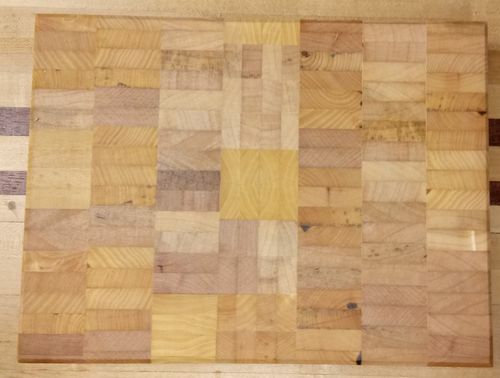 Also who does not like a cutting board? Looks like fun to me. I always love to see some imagination used. Really cool. How is it you always find the maple?? 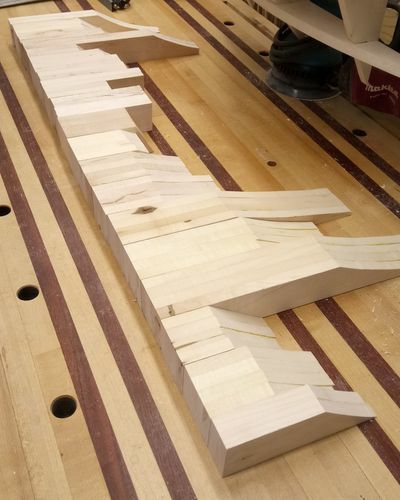 Jeff, I like it….brings to mind the ribs and keel of a boat build. That came out very nice. I like the one with the three vertical pieces best. Very Nice & Well Done Also Jeff! Love the design! Nice, Jeff! You did that free maple lumber proud. I like the 5-rib one, and they do remind me of a boat, like jbschutz pointed out. Nicely done. You must have been quite thrilled when you picked up the maple. I LIKE it, err them!!! Hey folks….appreciate all the comments! This is a wonderful wall shelf piece and n I love the design. Nice work!